This entry was posted in Landscape and tagged Flora, Heather, Isle of Man, Landscape, Nature, Photography, Seascape on August 18, 2015 by jackie prince. 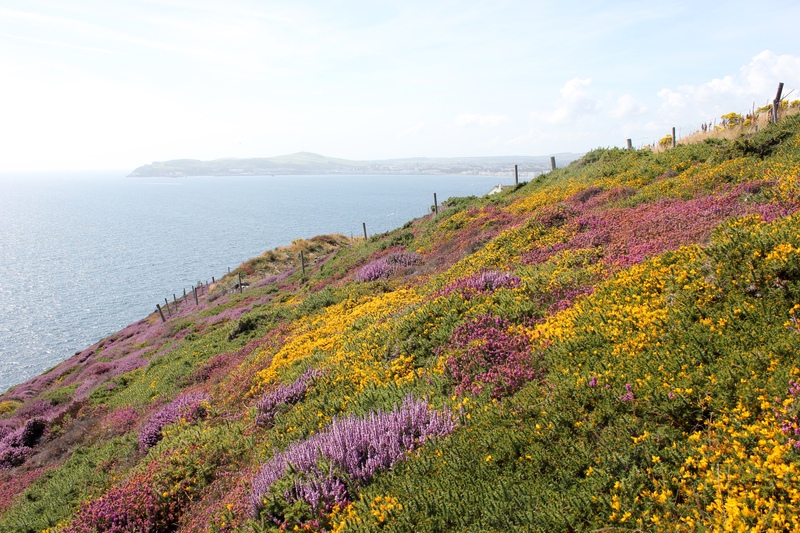 It’s the mix of colours there making it look so beautiful – the Cornish coast was like that everywhere too – lovely! Wow..I only get to see it when it is in florists pots. Gorgeous! Thank you, I’m pleased that you like the heather too!